Sphinx Shepherd done for the Chicago K9s for Cops Public Art Program to benefit the Chicago Police Memorial Fund and PAWS Chicago. 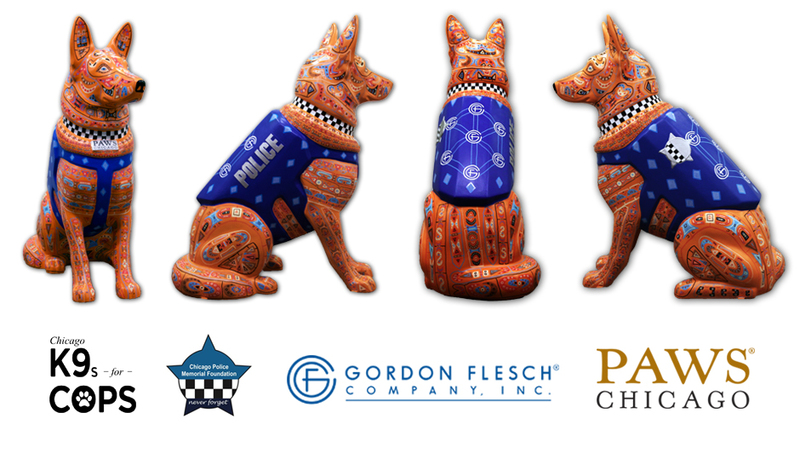 The sponsor for this K9 is the Gordon Flesch Company who deserve strong applause for supporting two great causes with this public art initiative. The Sphinx Shepherd K9 will be on display on Chicago’s Michigan Avenue starting July 23 and will run through Labor Day.